We received samples of all of the products mentioned and are sharing our unbiased thoughts. Yesterday we had a birthday sleepover for my oldest. We had a gaggle of girls to feed and entertain and the birthday girl couldn’t wait for the fun to begin. The fun part for me is all in the planning – and shopping. Oriental Trading is my one and only resource for birthday party supplies, decorations and favors. 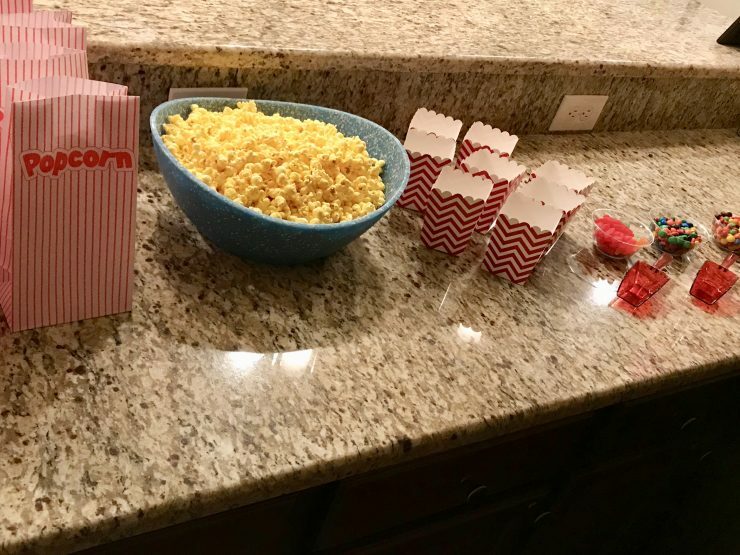 We didn’t plan out a whole lot of activities, but we knew we’d be watching a movie as the girls settled down for the night so a popcorn bar was on the agenda. 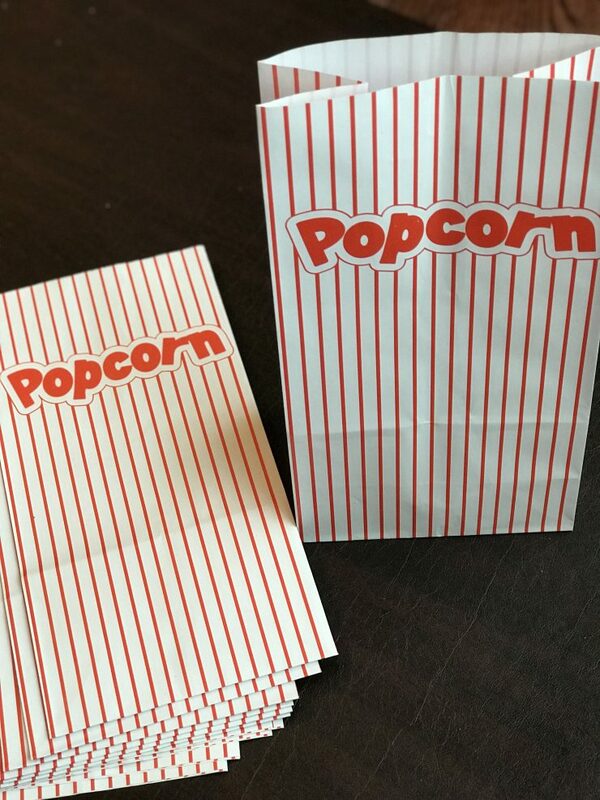 For that I needed popcorn bags and then we decided to add in a candy bar so I added small popcorn boxes to the cart too. Then I stumbled upon these adorable mini scoops. I love that you can choose any color and I went with red for our movie night. This is how the popcorn bar turned out. My other focus was on the favors. Every kids loves to leave with a gift of their own after a fun party. These nylon drawstring totes are so impressive. Not only do they have a drawstring but also a loop handle. They come in pink, blue and purple and are very roomy. I love a tote bag that can be reused and these are great – this is probably my favorite purchase out of everything! This unicorn-filled rainbow putty was a total hit. 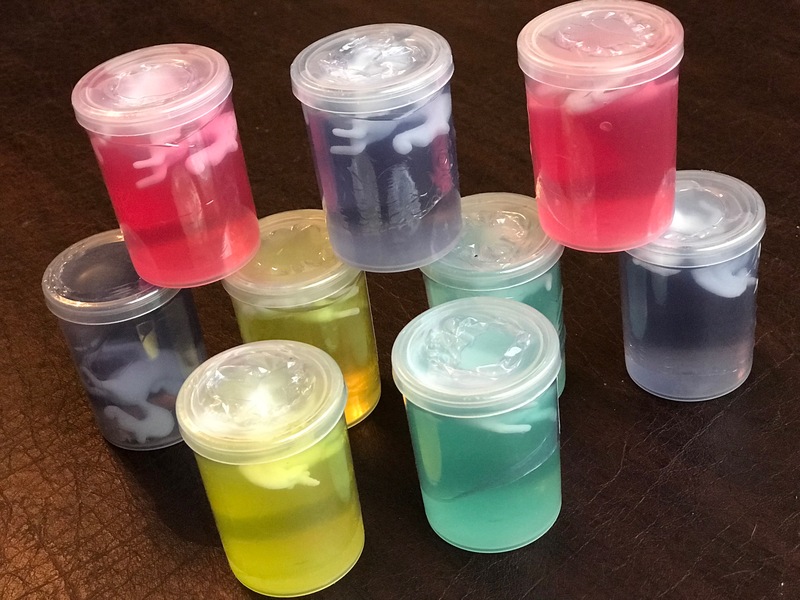 My kid loves making slime, putty and the like and this one has a little unicorn surprise inside. Very cute, and best of all it doesn’t stick to surfaces and make a mess. 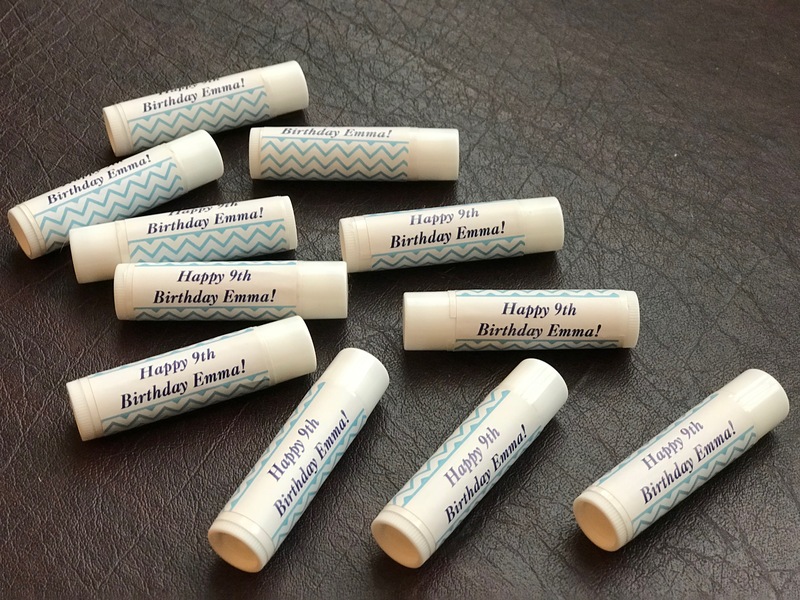 I love to personalize at least one favor in the bag and these lip balms are perfect! You can customize the color and text on the labels and you apply them yourselves. Very easy and a great, useful favor! Especially during the winter season. 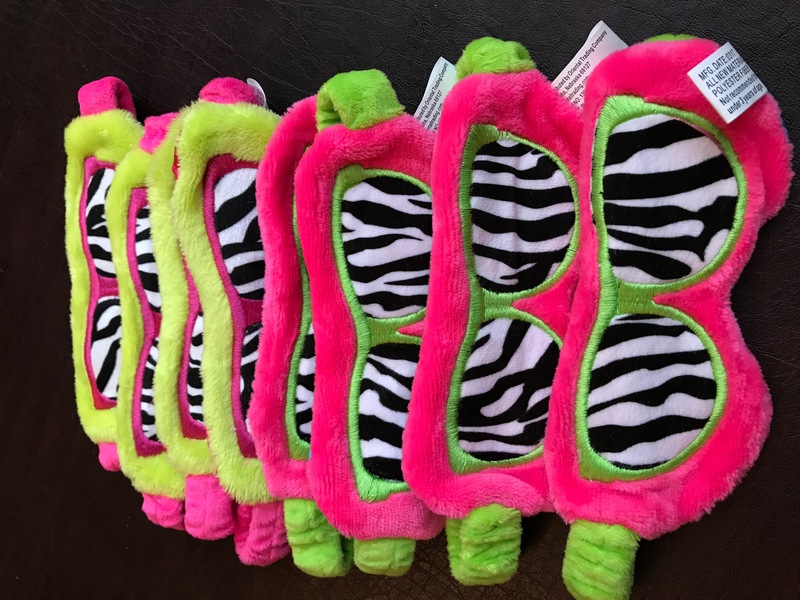 These sleep masks were the very first item I added to my cart. They totally fit the sleepover theme and are super cute. The kids loved them! Lastly, we had to send the kids home with a sweet treat too. These lollipop twists are so fun and tasty, too. I’m so happy with each and every one of these items! 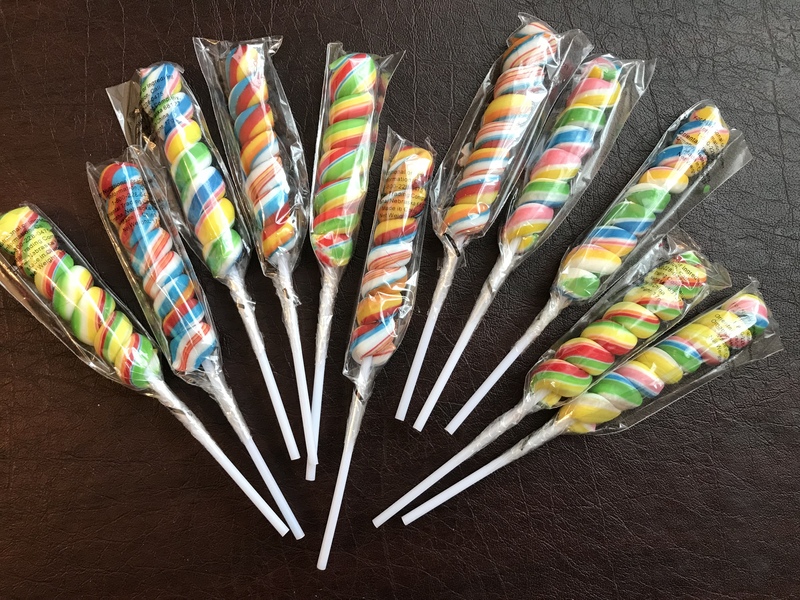 There was truly nothing disappointing whatsoever about our entire order and by shopping online at Oriental Trading I saved myself several trips to various stores and a lot of money! I so wish I had a little girl that I could plan a party like this for! The popcorn bar is awesome, and can be adapted to older kids as well! So many cool party ideas for a sleepover. Never heard of Oriental Trading but I like that they have lots of fun and creative party supplies. My boys have moved on to the sleepover phase of birthday parties now, so we have LOTS and LOTS of snacks on hand for all those growing boys. Sounds like a great line up for favors! Perfect for a girl’s party. My daughter would enjoy these. Some great ideas for your daughters sleepovers guests. 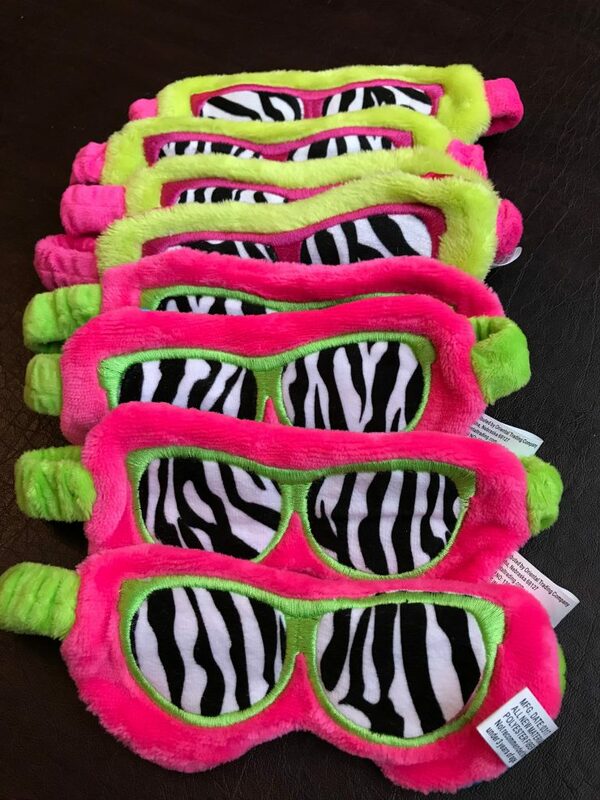 My favorite is the sleep mask, too cute!! 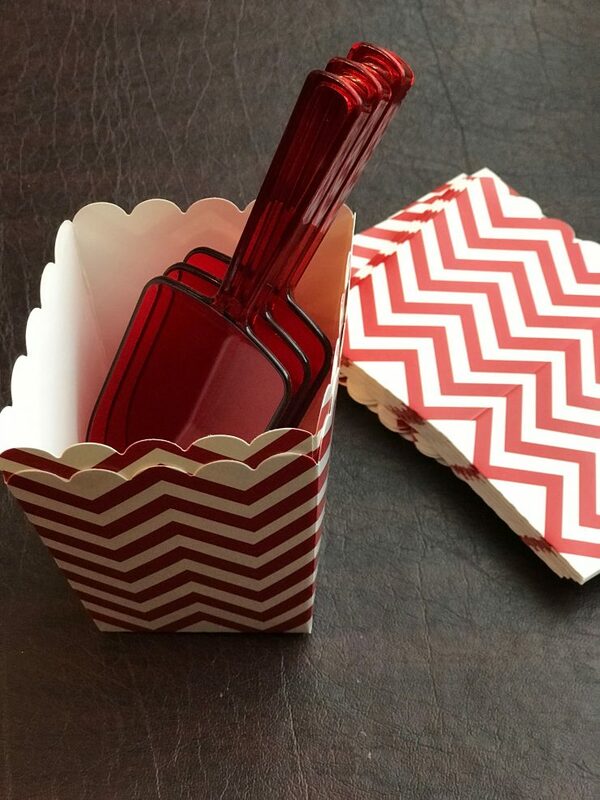 You made such cool goodie bags and things for the party. That’s just so awesome. I really wish I were better at that. My ex does way better than I do at that kind of stuff. 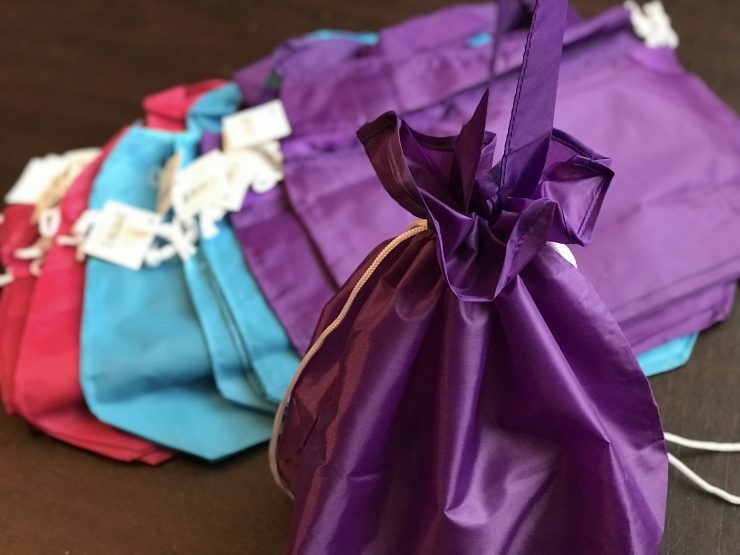 I love those scoops and the bags you put together for everyone! Oriental Trading has such cool and creative ideas. 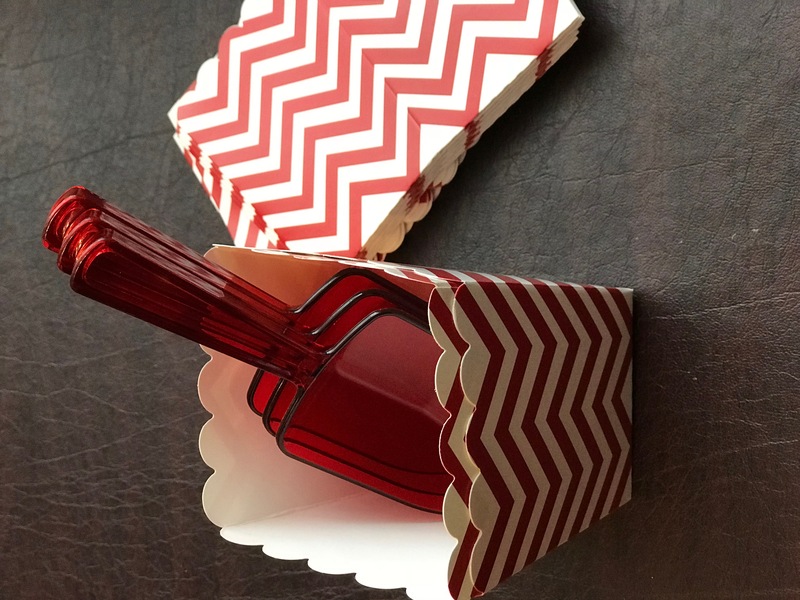 Great little gifts for the party goers! I love those facemasks for the girl sleepover! Too fun!